BRAMPTON - William Osler Health Centre (WOHC) is among three hospital sites in southern Ontario equipped with the ability to share patient data through a new web-based electronic healthcare record (EHR) viewer. Agfa HealthCare, a leading provider of IT-enabled clinical workflow and diagnostic imaging solutions, unveiled recently new technology (their Clinical Dashboard platform) that allow's users to easily access critical patient information from any personal computer, handheld, or tablet PC with Internet access. For instance, data at WOHC's Etobicoke and Brampton sites can be retrieved and shared with Halton Healthcare Services (Oakville, Milton, Georgetown) and Credit Valley Hospital in Mississauga. This eHealth portal (EHR Viewer) solution serves the nearly one million residents living in the communities of Brampton, Etobicoke and Georgetown. "Agfa's proven federated portal model is a 'win-win' situation for hospitals - simple in premise, and deployed at a fraction of the time and cost of competitors, with immediate return on investment," said Dieter Pagani, director of Agfa HealthCare's Enterprise Solutions Group. "These hospitals are truly eHealth leaders in Ontario, and have taken a quantum-leap towards eliminating the traditional barriers associated with sharing data." Company officials say this vendor-agnostic technology promises to fundementally alter the Canadian healthcare landscape. Agfa HealthCare's eHealth solutions are customized to meet the needs of each hospital and their unique stakeholders, "and built on a complimentary core foundation that is web-based, scalable, extensible and focused on delivering fast return on investment." 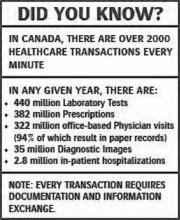 The new technology ensures all three sites (including Credit Valley Hospital and Halton Health) can securely share all patient records---regardless of IT systems or vendors. "This makes us trailblazers," said Judy Middleton, Chief Information Officer for WOHC. "If a physician has a patient at Osler, and the patient says 'I've been at Oakville or I've been at Credit Valley', then all the information from their visits will be accessible by the physician. So in terms of expediting treatment and care, you have much more information (at your disposal)." Middleton said other hospitals in the Central West Local Health Integration Network (LHIN,) of which WOHC is a part of, are taking steps to adopt this innovative technology. In achieving this level of interoperability, William Osler will be able to reduce duplication and errors, while increasing the level of accuracy of information in terms of diagnosis, Middleton said. Toronto, January 10, 2008 - Canada Health Infoway (Infoway) today announced it has negotiated preferential conditions and pricing with Orion Health through a Preferred Solution Agreement for their Concerto Physician Portal, an EHR viewer. EHR viewers are secure web-based applications that integrate patient information from various sources into a single record, unique to each patient. "We are making great progress towards the modernization of Canadian patients' health information and that means more and more clinical data is being captured and stored electronically," said Richard Alvarez, President and CEO of Canada Health Infoway, the federally-funded, independent not-for-profit organization which invests with public sector partners to accelerate electronic health records across Canada. "The EHR viewer is a vital tool for clinicians because it is the electronic gateway to the information clinicians rely on to make appropriate care decisions for their patients." The Canada-wide agreement will help accelerate the implementation of electronic health records, making it simpler for provinces and territories to acquire a health record viewer solution. An EHR viewer eliminates the need for health care practitioners to learn multiple computer interfaces and improves accuracy by bringing information from across numerous systems into one familiar screen that is customizable for each user's requirement. These systems have many benefits when implemented in a standards-based environment. Infoway's Preferred Solution Agreements show that participating vendors like Orion have a deep understanding of the pan-Canadian EHR and the need to adopt established standards to ensure interoperability. While Infoway believes that these agreements offer significant value, the selection of specific vendors rests with the individual province or territory. 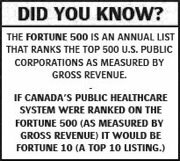 Infoway is an independent not-for-profit organization that invests with public sector partners across Canada to implement and reuse compatible health information systems which support a safer, more efficient healthcare system. Fully respecting patient confidentiality, these private and secure systems provide healthcare professionals with rapid access to complete and accurate patient information, enabling better decisions about diagnosis and treatment. The result is a sustainable, health care system offering improved quality, accessibility and productivity.